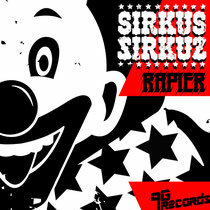 Sirkus Sirkuz, the new solo project from Decky Hedrock (The Japanese Popstars/Hedrock Valley Beats) recently released ‘Rapier’, the first full release for 9G Records and second appearance on the label. It’s a driving and gritty electro track, steeped deep in a four to the floor house beat and vocal. It’s already getting support and love from the likes of Crookers, Digitalism, Medicine 8 and more. Each remix artist has taken the sound and energy of ‘Rapier’ into their own realm. Deadbots smash you in the face hard and fast with their synth stabs and nexus of electricity. Then, Figure of 8 chills the mood with a slower paced disco-inspired melody, including electric lounge piano. 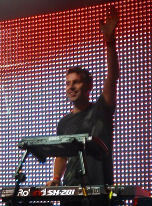 With Paul Jackson’s Electro Rub, you are returned to the early days of house music, including Casio inspired instruments. Finally, Dert Cheep takes it back to the warehouse, with a jumpy and bouncy melody. Recording under a number of aliases Decky Hedrock has remixed artists including Beyonce, Depeche Mode, Ash, Groove Armada, James, Benny Benassi, Kylie and Gorillaz. He’s also collaborated with the likes of Robert Smith (The Cure), Jon Spencer (Blues Explosion), Morgan Kibby (M83) and Green Velvet. It’s out now, exclusive to Beatport and everywhere else from 30th July.